Jonas Holste was born in Hameln, Germany and moved to Jena to study chemistry in 2011. He received his Bachelor degree in 2015 and stayed in Jena for his master degree. In 2017 Jonas joined the cheminformatics group of Prof. Steinbeck. 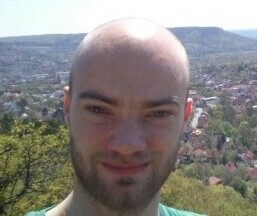 Jonas did his master thesis in our group at Friedrich- Schiller University Jena in the area of data processing in metabolomics and completed the work just before Christmas 2017.